The first post about this, was creating an area for coats, shoes etc. The plans are evolving this to a room for coats, shoes etc. 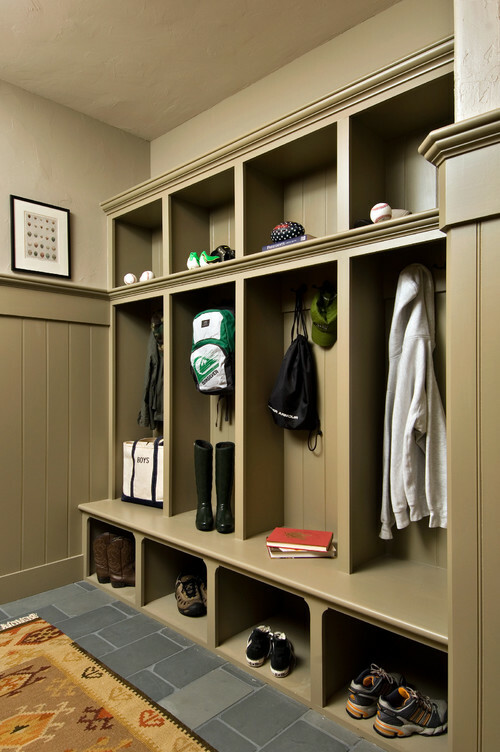 It looks like this is called a Mudroom in the US. A safe, as it’s where you might want to leave car keys, wallets etc ? There could be an additional safe for passports, jewellery etc. elsewhere in the house. Black board or other family notice board. I like the cushion / lip, so that those who want to, can site down to put on shoes, boots etc. 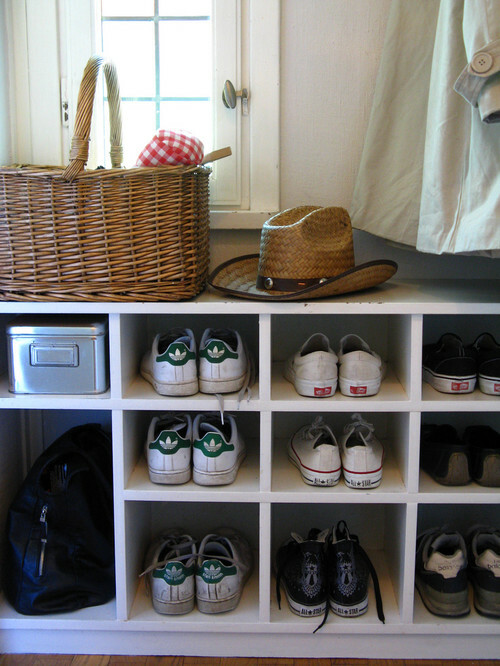 I like the lower shoes area is straight onto the floor and not a drawer. This should make it easier to clean /tidy. It’d be good to have a coats, shoes etc. area for the office. 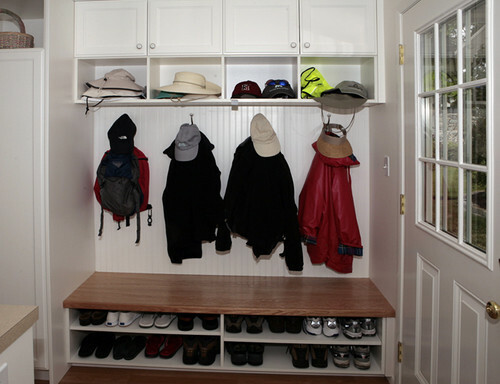 Having multiple slots, means you can hang coats on the back and side walls of each “slot”. There could be a per person slot (well it could start like that). Or everybody uses one shared space ? Does this one nail it. 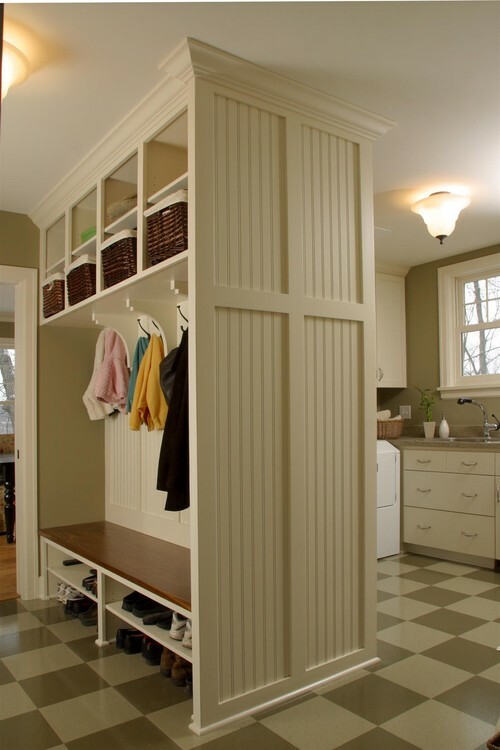 Thin walls to segment the spaces and give extra hanging hooks on the separators? 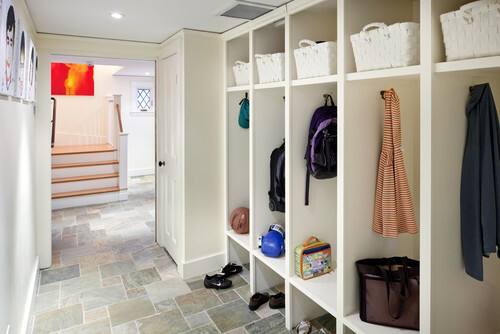 Baskets for up above, so it’s easy to pull down your basket of stuff. eg wool hats and beanie’s. Get in multi tiers for shoes. 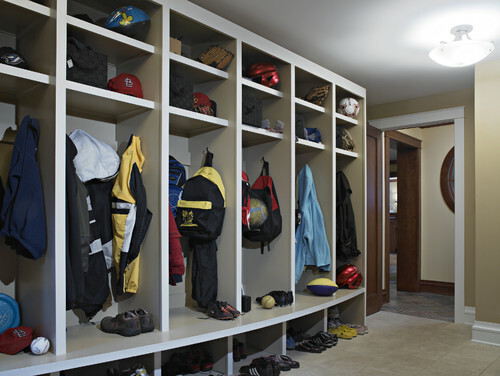 But make sure there is also space for taller boots, wellies etc. too. Getting lots of shoe storage here. May as well build storage right to the ceiling ! There is a danger of the ‘compartments’ being too school like. I prefer maybe 2 large ones, rather than lots of individual ones. Yes to the wood panelling. In my view should also have hanging space for your washing- perhaps like our laundry at home, we have a hanging thing above the washing machines etc . 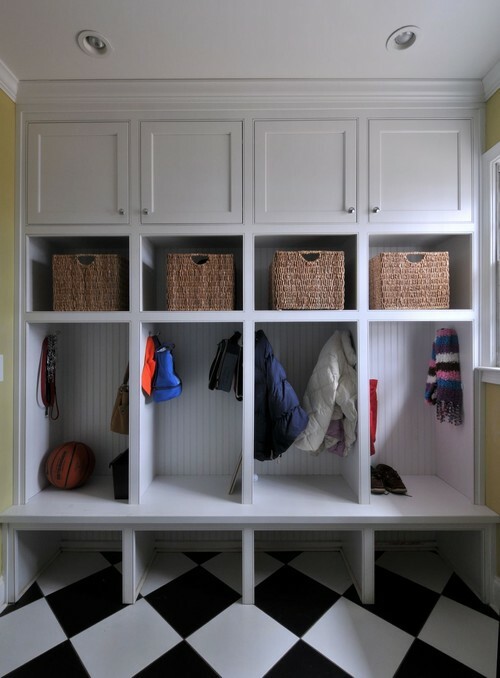 This entry was posted in Developing Ideas and tagged boot room, ideas, look and feel, storage by Rory. Bookmark the permalink.